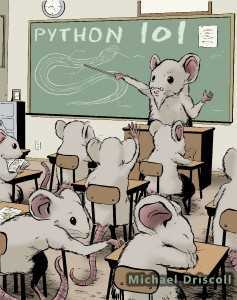 The other day, I saw an interesting question in the wxPython IRC channel. They were asking if there was a way to set which display their application would appear on. 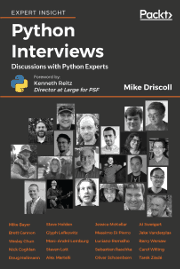 Robin Dunn, the creator of wxPython, gave the questioner some pointers, but I decided to go ahead and write up a quick tutorial on the topic. Every now and then, someone will ask about how they can run the demo code from wxPython’s demo outside of the demo. In other words, they wonder how you can extract the code from the demo and run it in your own. 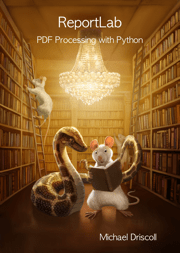 I think I wrote about this very topic quite some time ago on the wxPython wiki, but I thought I should write on the topic here as well. 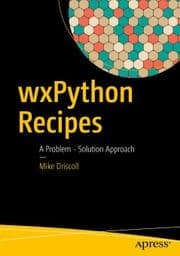 I recently had my self-published book, “wxPython Cookbook” picked up by Apress and republished as wxPython Recipes. 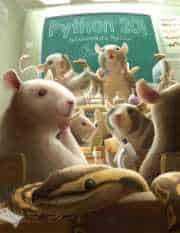 Since they gave me a few complimentary paperback copies, I have decided to do a little contest. The contest will run starting now until Monday, January 15th @ 11:59 p.m. CST. The winner will be contacted by yours truly and I will sign the book and ship it wherever you want me to. I recently came across a question on StackOverflow where the user wanted to know how to drag images onto their image control in wxPython and have the dragged image resize into a thumbnail. This piqued my interest and I decided to figure out how to do it. 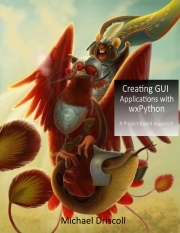 The wxPython toolkit supports using keyboard shortcuts via the concept of Accelerators and Accelerator Tables. You can also bind directly to key presses, but in a lot of cases, you will want to go with Accelerators. The accelerator gives to the ability to add a keyboard shortcut to your application, such as the ubiquitous “CTRL+S” that most applications use for saving a file. As long as your application has focus, this keyboard shortcut can be added trivially. Note that you will normally add an accelerator table to your wx.Frame instance. If you happen to have multiple frames in your application, then you may need to add an accelerator table to multiple frames depending on your design. 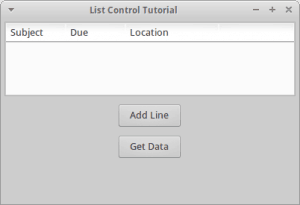 Every now and then, I see someone asking how to get the text for each item in a row of a ListCtrl in report mode. The ListCtrl does not make it very obvious how you would get the text in row one, column three for example. In this article we will look at how we might accomplish this task.